Content Marketing: What Does Great Content DO for You? Content Marketing: What Does Great Content DO for Your Business? 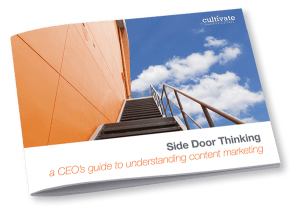 Hearing a lot about “content marketing” lately, but not sure if it's something you want to implement? Here's the truth: We are ALL already engaged in content marketing, the questions is whether or not you're being strategic about it. Let me explain... Your existing website and marketing materials are all comprised of content. 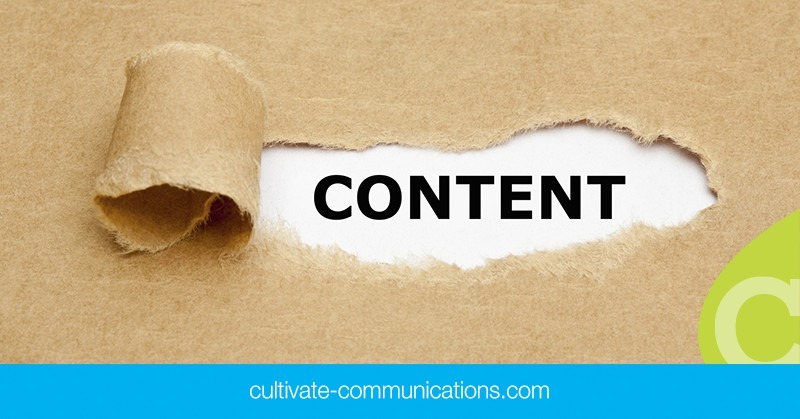 Content is simply all the “stuff” that works together to create an interesting, helpful and relevant experience for your prospects and customers. Content marketing is simply being strategic about coordinating information and your content options in a way that maximizes engagement, leads and revenue. Out in their everyday lives, your prospects respond to different types of content. Some people like to read books, some prefer to watch movies, some like listening to audiobooks, while others just want to flip through magazines for the pictures. The same is true on the web. Different folks, different strokes. So, what are your marketing content options? You can focus on: webpage copy, articles, blog posts, social media updates, reports based on research or surveys, case studies, whitepapers, graphics, videos, and oh so much more. Of course, the direction you choose is based on your budget and business objectives. What Does Great Content DO for Your Business? If you're already monitoring your sales pipeline and measuring your marketing results, you'll see direct results from a solid content strategy in your reporting. On the people side: When you provide content that appeals to your target market, you attract more prospects ready to buy and retain more customers by inspiring brand loyalty. You encourage prospects and customers to engage with your business. On the techie side: Great written content boosts your search engine optimization (SEO). This means that Google and other search engines will boost your website up to the top of the search results page when your prospects are searching online. Unfortunately, many businesses have yet to invest in creating great content. The web is still crowded with websites no more informative than your average brochure. Some of those subpar websites are your competition. Ready to leave them in the dust? Filling your website with compelling content is no small feat. Content without context simply isn’t enough. Your content strategy requires purpose and vision to be effective. Quality information trumps quantity every time. Flooding the web with words isn’t your goal here. Instead, work to create great content full of insightful answers and industry knowledge your customers can use. When you create great content, you’re sparking conversation with your customers and engaging with your prospects. As your content gains audience, your website’s traffic will increase, and you’ll earn organic links—another great way to boost your SEO. More site traffic? More customers? That’s the value in creating great content.